NOW OPEN! Up to one month free rent! 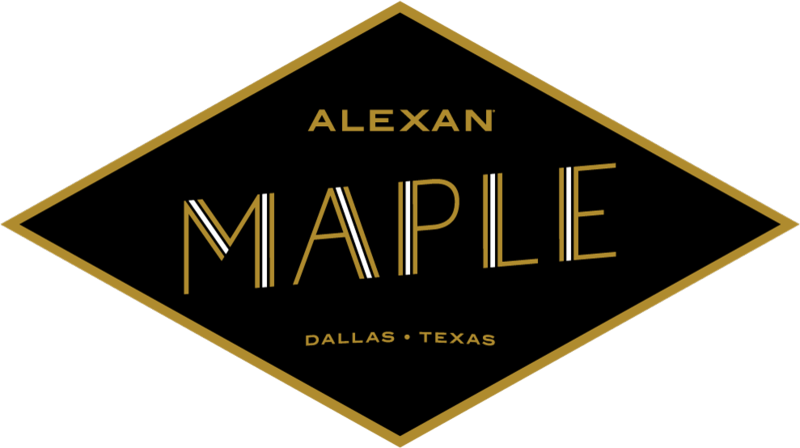 Alexan Maple is a stately new residence located in the heart of the Oak Lawn neighborhood in Dallas. A modern dwelling where new luxury mingles seamlessly with early 20th century Chicago architecture for a unique living experience. Life here is peppered with warm social experiences and delightful surprises unique to your home, the neighborhood and the city. The collective spaces in Alexan Maple, new Oak Lawn Dallas apartments feature old-world sophistication, through plush textures and intricate finishes designed to create an atmosphere of stately elegance. Mingle with friends by the large-scale fireplace in the resident lounge or bring the outside in with the sliding glass wall system. See and be seen from the rooftop lounge complete with private dining space, an upscale bar and panoramic city views. Sign up below to receive the latest news and updates! Contact our team and get all your questions answered!